Please take a moment to read this letter from the owners of Mountain Valley Therapy. It explains the amazing change we are making in our clinic starting May 7th. 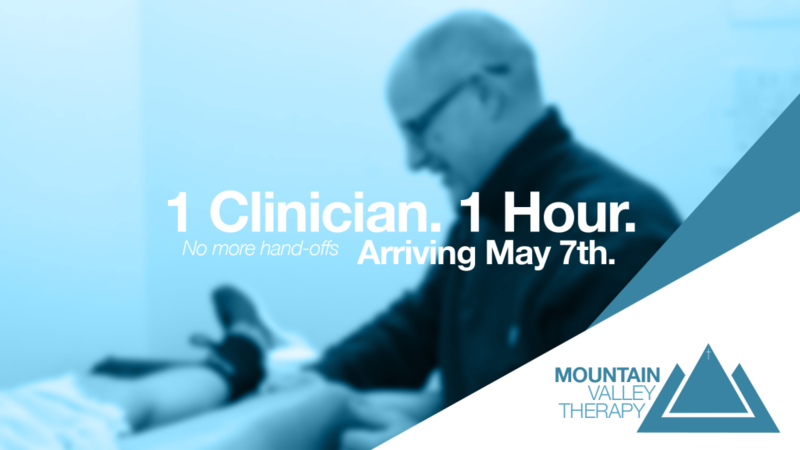 1 clinician, 1 hour, no hand offs, that is our new motto and goal for your care. If you are having a hard time reading the letter you can click the image and read or download a PDF of the letter.